Providing jobs for people with Intellectual and developmental disabilities in the Tulsa, Oklahoma area since 1976. 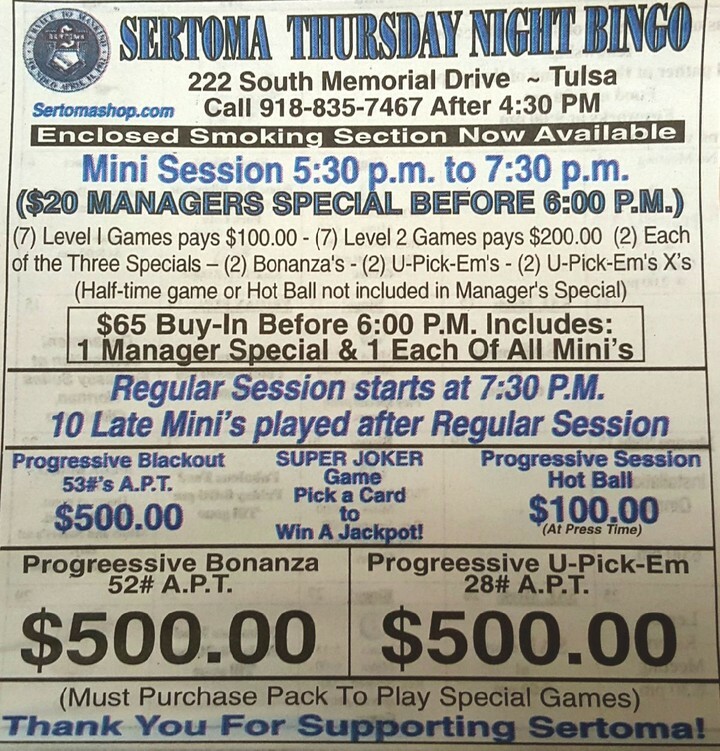 Sertoma Thursday,Friday and Saturday night Bingo supports the shop activities. The bingo games are run by Sertoma Club Members working on community projects in the Tulsa area. There are mini sessions, progressive games, progressive bonanza games and special games along with U-Pick-Em games. 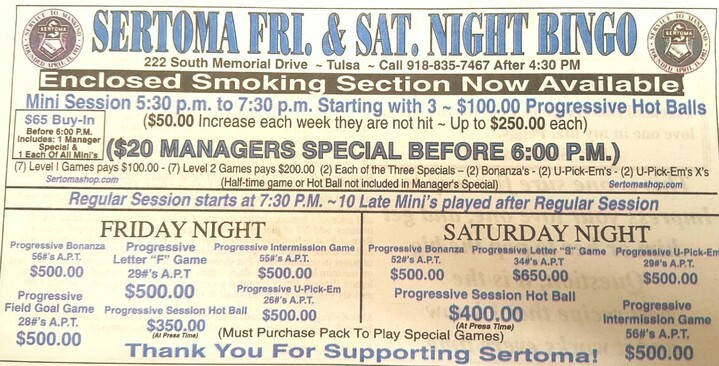 Mini sessions from 5:30 TO 7:30 P.M. Other nightly specials in the Oklahoma Entertainment Guide. As of January 29, 2015 our Bingo facility will offer a designated smoke free area (divided by tempered glass) to accommodate our smoke free patrons.